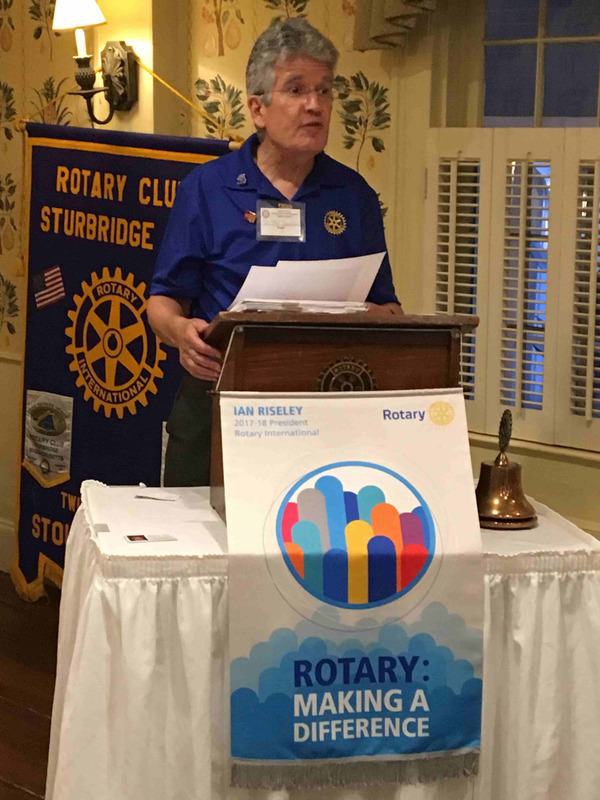 Dr. Philip Sandler, the District Polio Chair, reviewed the history of polio and the PolioPlus Program. Rotary launched its PolioPlus program in 1985. It was the first initiative to tackle global polio eradication. Rotary’s advocacy efforts played a role in decisions made by donor governments and in 1988, the Global Polio Eradication Initiative was formed. This organization is a public-private partnership including Rotary, the World Health Organization, the U.S. Centers for Disease Control and Prevention, UNICEF, the Bill & Melinda Gates Foundation, and governments of the world. Rotary’s focus is advocacy, fundraising, volunteer recruitment and awareness-building. After all these years, three countries remain with cases of polio. It has been an on-going battle, much of which relates to social and political beliefs. While the battle is being won, the Global Initiative will continue to monitor outbreaks and work tirelessly to eliminate them. 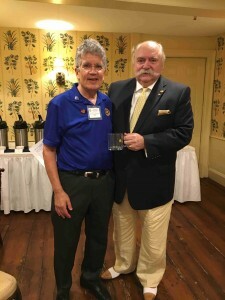 Dr. Sandler being presented a Sturbridge Rotary mug by President Dave. This entry was posted in Local News by Pauline White. Bookmark the permalink.